Amazon's Echo Show is one of our favorite smart speakers, to the point that we described it as "the most capable mainstream smart home assistant on the market" in our 4-star review. And right now you can snag all its smarts and functionality for a killer deal on Amazon—the Echo Show is just $150, down from a list price of $230 and good for the lowest price we've ever seen. There are a lot of things to love about the Echo Show. One of the most obvious is its seven-inch color touchscreen, which allows you to see pictures and video and enables video calling with other Shows and Spots. Another cool feature is Drop In, which allows you to use multiple Echoes as an intercom system. If you have an Alexa-enabled home security system such as the Ring doorbell cam, you can watch its video feed right on the screen. And a sensitive, far-reaching mic system and killer sound quality just sharpen the appeal. 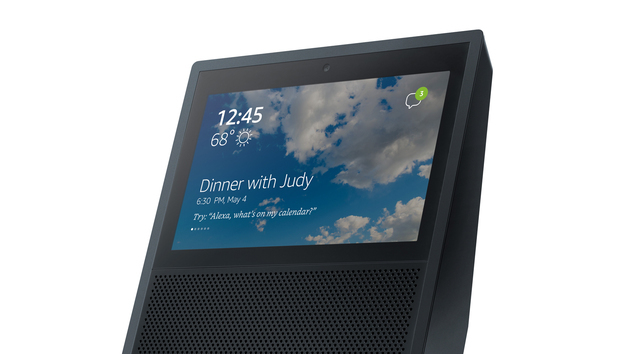 If the Echo Show isn't for you, Amazon makes plenty of Echo devices for every taste. And for even more smart speaker options, check out our review roundup of the best smart speakers.